The Department of Heritage, Culture and the Gaeltacht is examining the possible purchase of an airport in Connemara, as a dispute over the provision of regular flights to the Aran Islands continues. The Minister of State with responsibility for the Islands, Seán Kyne, made the announcement following talks with islanders. In a statement this afternoon, he said the department would be willing to consider a buyout of the Aer Arann owned facility at Na Minna, on condition that the company withdrew notice to end a Public Service Obligation (PSO) contract to fly to the islands in December. 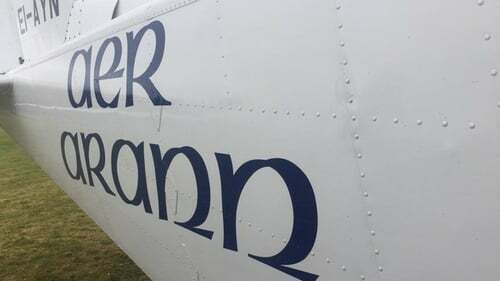 Aer Arann notified the Government that it intended to end the four year contract prematurely last July. The decision is due to take effect on 6 December and would end departmental access to the airport on the same date. Minister Kyne says there is a "pressing need" to continue daily services to the three islands. Officials are examining the use of facilities at Shannon Airport, in the event negotiations with Aer Arann are not successful. They are working on a tender process to allow for a temporary service between Shannon and the islands from December. The department says it is also looking at the option of building a State owned airport in the Ros A Mhíl area, to cater for air services on a longer term basis. The row between the department and Aer Arann centres on an "adjustment" to the PSO payments made to the company in the event it operates additional "non-PSO" flights. The service provider contends this makes the business unviable. The department maintains the contract clearly set out these terms.